The Wikimedia Foundation today released its first transparency report, giving a crucial first glimpse at the volume of government requests it receives for user data, content alterations and takedowns. 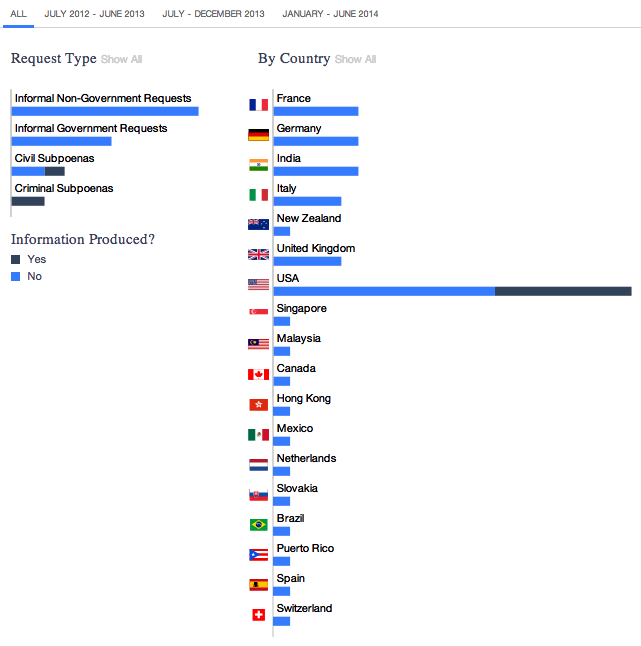 Between June 2012 and June 2014, the Foundation received 56 requests for information about its users. Of these, the Foundation categorised 43 as “informal,” or submissions that didn’t involve a formal legal process. “For example, this would include a situation where a government sends us a letter or an email requesting nonpublic information about one of our users,” the Foundation explains. To break this figure down further; 15 requests were from a government entity, while 28 came from a non-government entity. The Wikimedia Foundation received eight civil and five criminal subpoenas, which represent a formal legal process. In total, the Foundation revealed it had produced information on eight occasions, affecting 11 accounts. If it had approved all of the requests, that number would have risen to 69. In its report, the Foundation said it notified affected users before disclosing information for a legally valid request – provided it was legally permitted to do so. “In certain cases, we may help find assistance for users to fight an invalid request,” the nonprofit organisation added. The Foundation is best known for its online, community-driven Wikipedia encyclopedia, and as such, content alterations and takedowns ranked considerably higher than user data requests. The Foundation disclosed a total of 304 requests for the two-year period, but said none of them were granted. Deeper in the transparency report, however, there’s also a breakdown for the number of copyright takedown requests submitted under the Digital Millennium Copyright Act (DMCA). Over the two-year period, the Foundation received 58 requests and granted 41 percent of them. 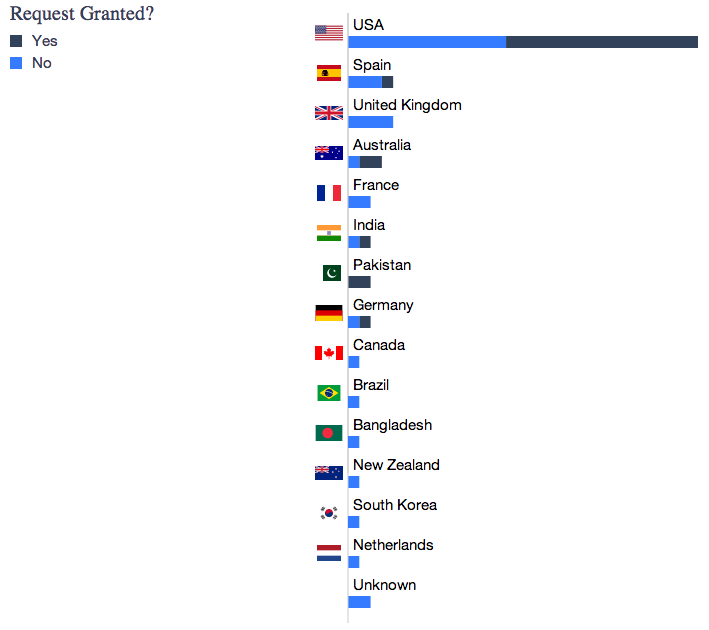 Most came from the US and therefore, unsurprisingly, the majority of approved requests were attributed to the US too. Other technology companies such as Facebook, Google, Twitter, Pinterest and Tumblr have published transparency reports and, overall, what the Wikimedia Foundation has published suggests it receives a comparatively small number of requests, both from government and non-government entities. 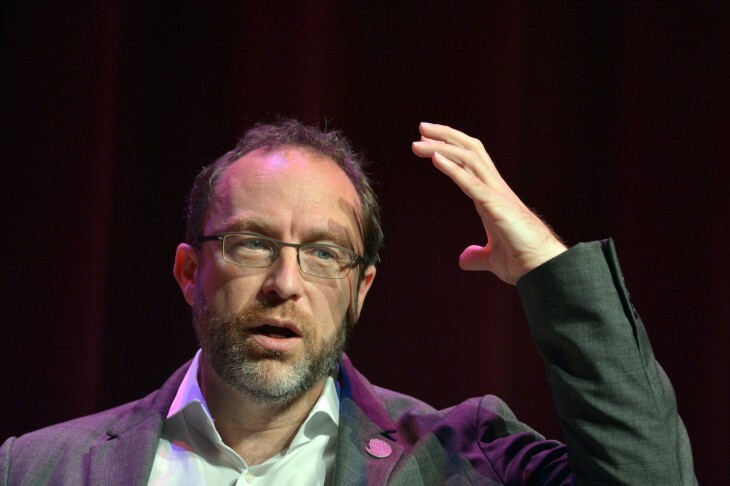 Even so, in the fallout of the revelations disclosed by NSA whistleblower Edward Snowden, it’s promising to see high-profile technology organisations such as the Wikimedia Foundation try to be more transparent about how often nonpublic information is both requested and released.